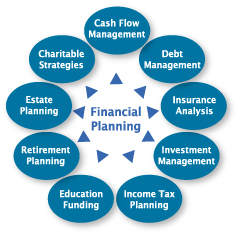 Through our process of first learning about each client’s current financial situation, expectations, values, and goals, we are able to provide individualized solutions and create a clear path in helping our clients reach financial independence as our plans take into account all aspects of their financial picture. In many cases, a financial advisor will create a plan for a client without offering any further guidance. We do not expect our clients to go through several pages of numbers and charts and to then know what steps need to be taken. At Clarity, our financial planners present clients with recommendations and a detailed action plan. Since our goal is to be our clients’ personal CFO, we guide our clients through the process of bringing their plan to reality. As their lives continuously change and with the complexity and ongoing developments pertaining to financial topics, we update our clients’ financial plans on an ongoing basis.